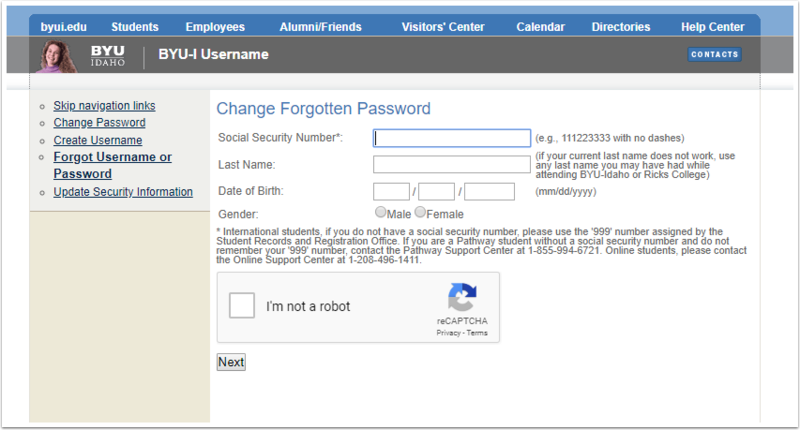 Once they fill out the information on the previous page, they will need to answer their security questions and then they can reset their password. You will have to look up their username using their Social Security Number and Birth date. DO NOT save any of this information. 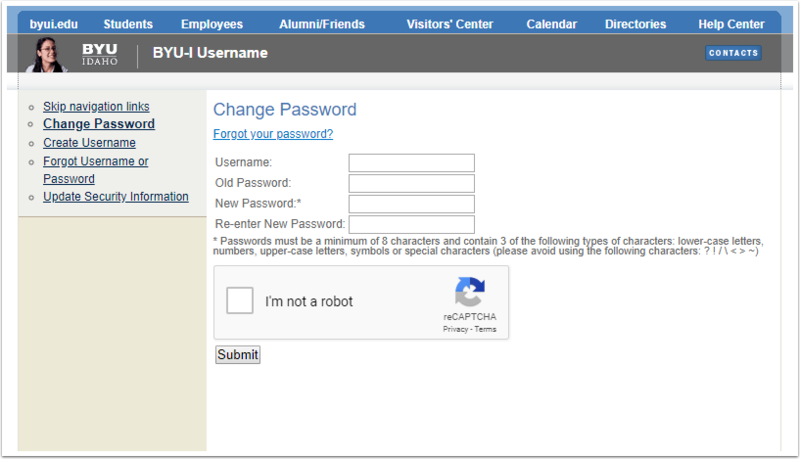 Go to the University Security Website to look op their username and set up a temporary password. Please make sure the student knows that this temporary password is only available for 24 hours. If the customer is on Live Chat, DO NOT as for their SSN. Ask for the best phone number to contact them at and call them instead to get their SSN. 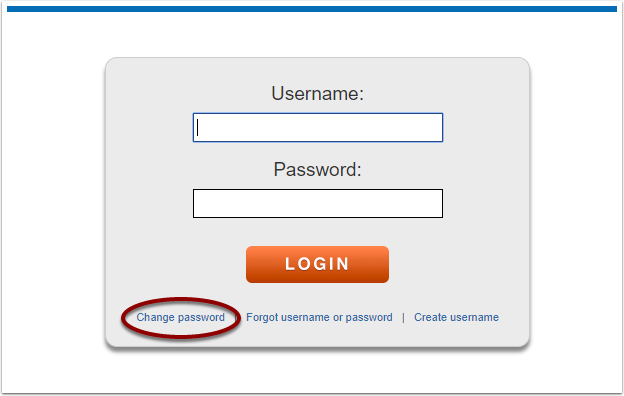 After creating their temporary password, sen them to the "Change Password" page and have them use the temporary password to change their password. 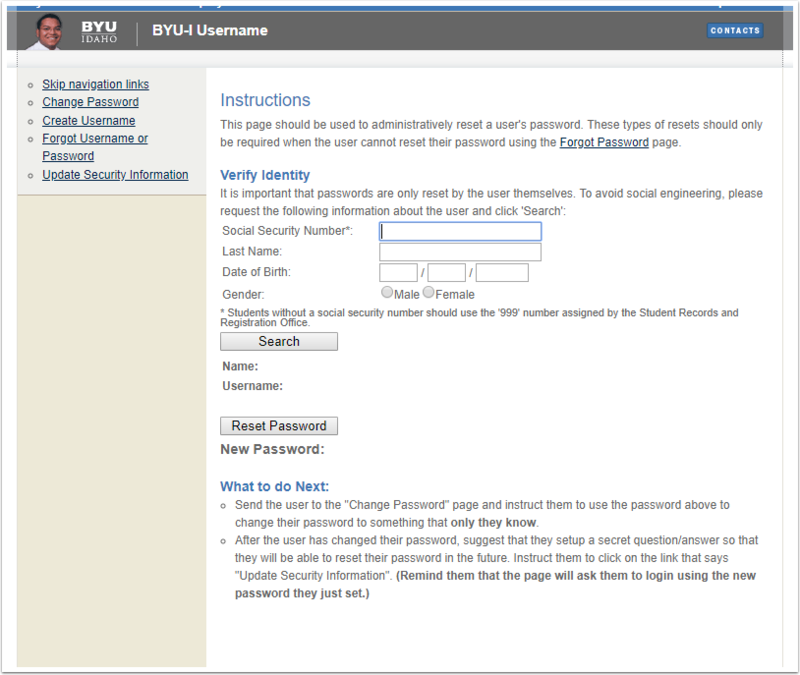 They can get to the "Change Password" page by going to the mybyui.edu login page and selecting the "Change Password" option.